Harry Potter and the Sorcerers Stone is a fine middle school book. I mean no offense to J.K. Rowling or fans of the franchise. but I don’t understand how this book created the monster franchise of the Potter-verse. I just don’t get it. I am an anomaly among Millennials, I never read Harry Potter growing up. My parents didn’t burn the books or anything, I just never picked up the books. I was the right age, but I was already reading Jane Austen at the time and felt too old for kids books. When I did read fantasy it was authors like Holly Black, and Sara Douglass, stories where magic is dark and cruel and comes at a heavy price. As a result, I just never read Harry Potter. I saw the first film on TV a few years ago and my overall impression of it is much the same as my impression of the book now: A fine story aimed at middle school kids. Nothing wrong with that. I just don’t understand why it’s so popular. 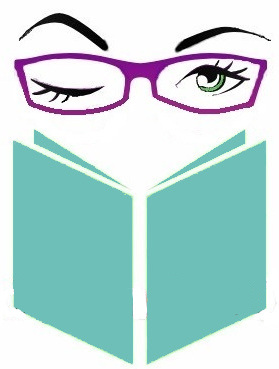 No offense to Rowling, but in my opinion, there are superior fantasy YA authors. I was much more invested in the climax of Artemis Fowl, Terry Pratchett’s Discworld is much funnier, and Holly Black’s Jade from The Cruel Prince is one of the best characters I’ve read in years. I did have a few problems with the novel. Most notably, the elements of deus ex machina, sickening whimsy, and casual racism. There is an overall carelessness to how the “wizard world” impacts humans. Not only are ordinary humans called by a slur “muggle” but the wizarding world seems to think that mind-wiping “muggles” on a large scale, is perfectly acceptable. This is really creepy when you think about it. This first novel never clarifies WHY non-magic users need to have their minds wiped about magic (except when they don’t) it’s all very strange and often contradictory. I never thought it was possible to get sick of whimsy, but Harry Potter proved me wrong. I had to actually put the book down for a while reading and pick up an economics book just to balance myself out. As far as whimsy goes, Discworld is funnier and smarter. Quidditch is stupid! When I saw the first film I assumed that the Quidditch sub-plot suffered in the adaptation and that’s why the game didn’t make any sense. Now I understand, Quidditch is Calvinball. Don’t tell me that there are complex rules! The ONE objective is to catch the snitch. One game literally ends about five minutes after it starts when Harry catches the snitch, so clearly, any other gameplay is pointless! Why does everyone like Dumbledor so much? He admits at the end that he used the kids to trap Voldemort, The man put children in danger! And people like this guy? At least Snape was trying to keep the kids SAFE! He may be a mean teacher, but at least he didn’t throw the kids into a death trap! Yes, I know what happens later in the series between those two, doesn’t change the fact that in this book Dumbledor’s actions are inexcusable! Seriously, would you trust that man with your child? He threw Harry into a death trap with an evil wizard! The biggest problem I have is with the ending. Harry does nothing to get stone, it just ends up in his pocket from the power of Daus ex-Mirror! I don’t care that this is a magic mirror and was established earlier. 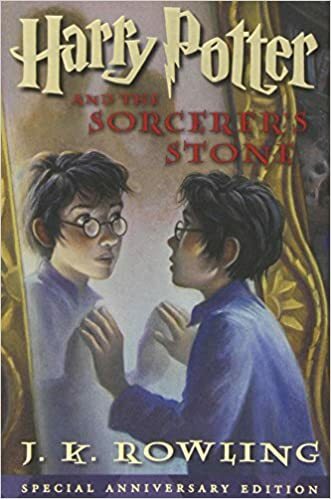 The fact remains, Harry does nothing to get the stone. Ron does the chess thing, Herminie does the potions thing, Harry… looks in a mirror. He does nothing! In the end, it turns out that the only reason Harry survived the big baddy as a baby was by the power of love. . . yeap, Voldermont could have been defeated, by the Care Bear Stare! The F^&%*ing Care Bear Stare! Lol!! I never got into them either. I understand all of your complaints. I read them when I was younger, like most readers, and have been rereading them. HP is one of my favorite series, but not until book three. The first two books are slow and boring to me.